But this luxury comes with a price: we have hundreds, even thousands, of digital photos to wade through to select our favorite shots. After spending that much time simply CHOOSING the perfect photos, who wants to spend even more time FIXING them? It’s even more discouraging when your favorite photo has an awful yellow color cast. Or it’s so dark you’re embarrassed to post it on Facebook. Or maybe you just want your photos to look like the great photos you see other people posting. Since Photoshop actions can edit at lighting speed, why waste time doing it yourself? Open a photo and choose an action that would improve it, and your program will go through all the steps for that action almost before you can blink an eye. One action may be all you need to make your photo perfect, but it’s just as easy to quickly apply two or three complementary actions that round out a great edit—such as better lighting, contrast, and sharpening. I've been experimenting with photo editing actions for years. In fact, there’s one action alone that took me two years to develop. I knew there had to be a way to reduce harsh shadows (the kind that result from being in bright or dappled sunlight) without expending a lot of time and effort, so I kept experimenting until I finally found a break through method that made a remarkable difference. The only problem: My method was a bit complicated, and I knew I wouldn’t want to go through all those steps every time I needed to fix a photo. That’s when I thought to turn it into an action! Now it’s my favorite action. There’s just no substitute for it when I need it. If you have more than one problem with your photo, choose other actions to address each problem in the order of importance. I shot senior photos for a young man whose mother requested I remove his acne, so I painstakingly used the Clone Stamp tool and Healing Brush on every photo I gave them. When I was done, the photos looked great…but it took forever. Recently I shot photos of the same family. This time I was determined to spend less time editing, so I developed an action that removed the acne in seconds. I felt like doing the happy dance! Using actions has allowed me to tackle photos I wouldn’t have touched in the past, because it would have taken too much time and effort to redeem them. I use your Fix Photos FAST actions with every photo now and can't imagine how I got along without them! Imagine sitting down at your computer and opening some photos from your most recent photo shoot. 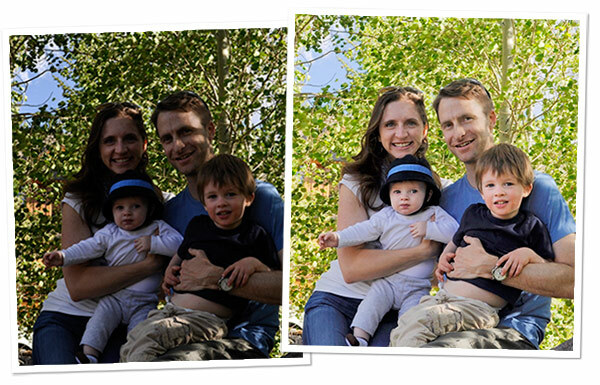 You quickly tweak your favorite photos by simply clicking one or two Action buttons. In record time, your photos look great! Now you’re ready to post them on Facebook, email them to your mom, or put them on a scrapbook page. You’re so proud of your photos that you click through your posted photos on Facebook not once, but several times! (Blush.) And you enjoy every ‘like’ and comment you get. Go ahead. Be proud. When you’ve turned ho-hum photos—or downright hopeless photos—into gems, your cat-ate-the-canary grin is justified! Appreciation and admiration from your family and friends is simply icing on the cake. But really, isn’t this the best gift you could give them? Beautiful photos of their family to treasure and pass down from generation to generation? I cannot tell you how much I am loving these actions! I have watched other videos and searched the internet and even bought other actions, but not with as good a result as I am having with these. In case you don’t know, I’ve been teaching how to use Photoshop and Photoshop Elements since 2003, when I created the first ever video instruction on digital scrapbooking. And I earned the title “Adobe’s Scrapbooking Expert” by teaching seminars and TV spots about digital scrapbooking for Adobe. But I’ve never been more excited than I am right now about working with photos—because I've turned so many of my editing tasks into one-click actions. And now you can benefit by using them, too. Receive my personal set of 36 time saving photo editing actions that I use constantly to fix my photos. These actions are available for the following versions: Photoshop Elements 7 through 12 and Photoshop CS2 through Photoshop CC. You receive both versions of this class: Photoshop Elements and Photoshop, so if you change versions, I’ve got you covered. All the lessons are recorded and available the instant you join the class. You can go at your own pace—as fast or as leisurely as you wish. If you have a question, simply click a button to email me. I'll get back to you within 24 hours Monday through Friday. You have an entire year to try out Fix Photos FAST. If you’re unhappy with this class for any reason, just ask for a refund, and I’ll give you your money back, no questions asked. 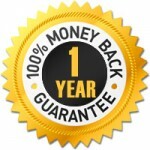 I may be crazy offering a guarantee like this, but I’m SO sure you’ll love the class that I’m not worried. If you don’t like it, I want you to contact me for a refund. …Because your photos will instantly look better by simply clicking a button! …Because some of these actions would be difficult or time consuming to figure out and create on your own. …Because you’ll waste less time fixing photos and spend more time enjoying and sharing them. Your photos are waiting. I hope you'll join me!